All images, text and designs contained in the website are the copyrighted, intellectual property of Kathleen Duxbury Yeaw, Duxbury Media, Inc. 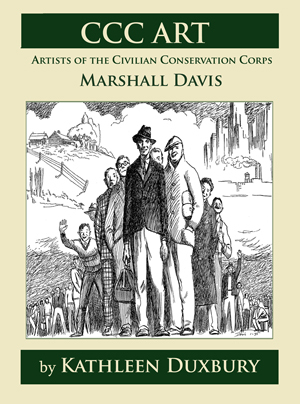 The CCC, operating from 1933 to 1942, was the first and most successful of President Franklin Delano Roosevelt's 1930's New Deal work programs. Between 1934 - 1937 President Roosevelt personally approved sending artists into CCC camps to make a pictorial record. What these artists chronicled, during the cruelest years of the Great Depression, is now recognized as the greatest conservation movement in American history. 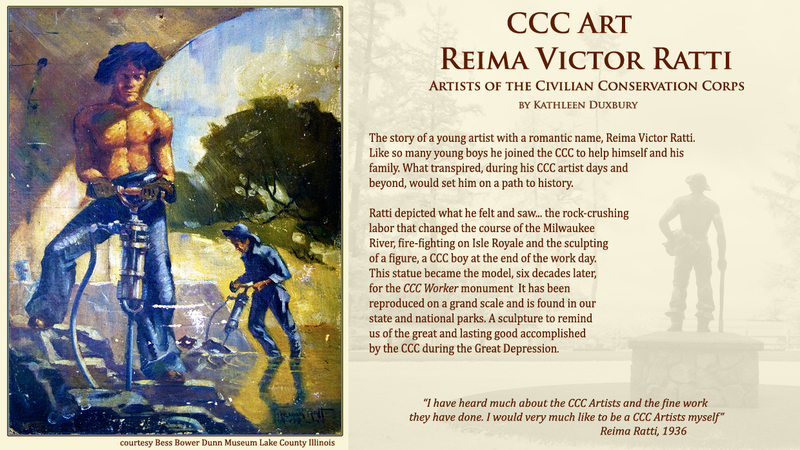 Seeking the CCC art, artists, and stories continues, as does the research, travel and writings about this quiet part of American art history.